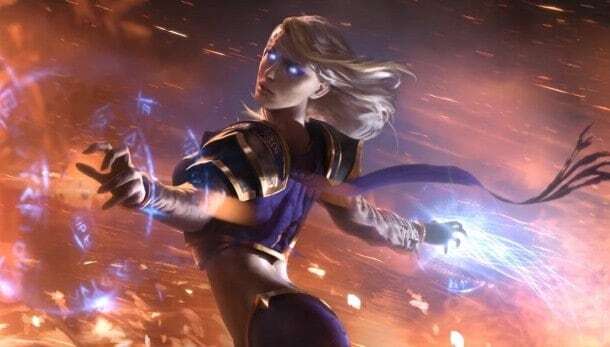 Hearthstone was one of the most highly sought after closed beta events of our time, making skilled eBay’ers a whopping $134,000, but that has come to an end with the official release of the open beta version in the US. If you’re not from America and you’re reading this, I can sympathize with the huge frown currently conquering your face but Blizzard have stated that they plan to release open beta in other regions within a few days. It?s been a crazy past few months for all of us on the Hearthstone team. We announced Hearthstone at PAX East back in March, began the Closed Beta Test in August, had a blast at BlizzCon with the Innkeeper?s Invitational, and we were excited to announce Android and iPhone support. Now we?re ready to unleash the awesomeness of Hearthstone to you with Open Beta. If you never had the opportunity to sample Hearthstone during the closed beta period, now’s your chance. Following the traditional approach to open beta all US players are now able to download the client and play for free. Blizzard have issued a warning though. If the influx of new players begins to place too much strain on the servers they may disable open beta accounts while the problems are addressed, but those with previous access should remain unaffected. It’s also worth noting that there are no plans for further wipes so players are free to amass as many new cards as possible, as quickly as possible.